KALE–what’s the big deal, anyway? Ever since that fateful day, kale has taken its proper place on many peoples’ plates as a valuable and delicious, nutritious and versatile green. It’s super-easy to grow, has a very long growing season and a cut-and-come-again habit, and can be used in so many ways–you can throw it into your green smoothies, bake it quickly into salty kale chips, stir-fry it with garlic and olive oil, throw it into soups and stews, and even shred it into salads. Can you tell that I’m a bit excited about kale? And to top it all off, it’s just a beautiful addition to my garden. Take a look at my Kale Photo Gallery below. I am growing four kinds of kale in my garden this summer. This handsome plant just gets taller and taller as you clip off the bottom leaves. (My dad calls this variety “Scotch Brite” kale. He thinks that’s funny. Well, it kind of is.) 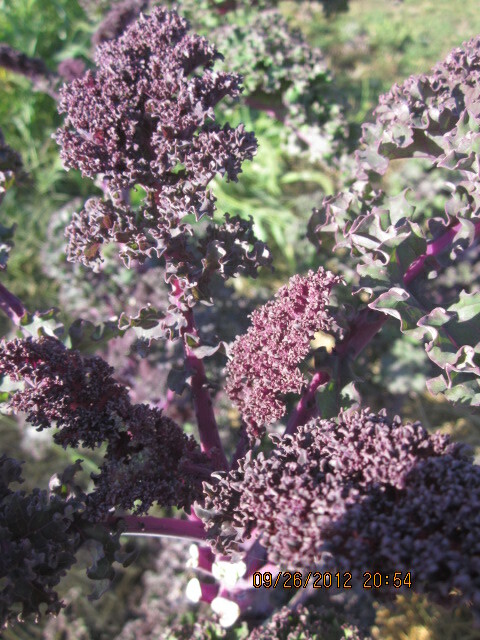 That’s a picture from last fall, since my Redbor kale this summer is still quite small. And here’s a group shot, just because I think they’re so purty all together, and because you don’t mind one more photo, do you? So why on earth would any one person need so much kale, you might ask, and it’s good that you do, Gentle Reader. It’s good to have a curious mind, don’t you agree? Two things happened last summer that spurred me on to grow more kale this year: I learned how to use kale in many wonderful recipes, and I sold quite a lot of kale at our local farmer’s market. Yes, I plan to become rich and famous selling kale by the bushel at our farmer’s market. Okay, please stop laughing. So it could happen . . . .? So that’s why I planted such an absurd amount of kale this year, and why I don’t have green beans or zucchini in my garden like I usually do (sob!) because my kale obsession is taking up so much room. No matter. No regrets. No kale-related guilt!! We gardeners are an optimistic (not to mention, kale-filled) lot, and there’s always next year–right? ?–for the zucchini and the green beans. Also, if I mention this in my blog, perhaps a Gentle Reader or two who has so much zucchini in her garden that she is checking the car doors in the neighborhood for an unlocked door into which to “gift” somebody a pile of extra zucchini, will think of me, instead, and come and offer me a trade. Zucchini for kale. Works for me! 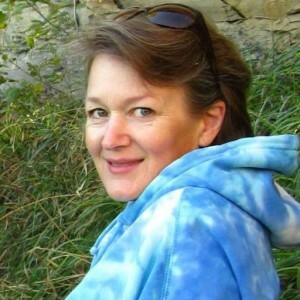 Now, without further ado, you don’t have to take my word alone for it . . . . I’ve included an excellent Ezine article by a writer whom I enjoy reading, Annette Welsford. She has written several best-selling gardening books, so I think she probably knows what she’s talking about. And she probably grows kale in her garden (I wonder if she grows four varieties, though?). She gets down to details on how to grow kale, and why it’s so doggone good for you, and I really like her suggestions for how to cook it, too, and I know you will, also, so I can get back out to my garden attend to pressing matters here at home. Hey–I’m planting my hoophouse (and I’ll share that with you soon!) and I’ve nursed all four kiddos here at home through the chicken pox over the past few weeks, give me a break, Gentle Readers! If I never see another puss-filled bump again, I won’t complain . . . Enjoy the article and I’ll see you tomorrow with an easy and really delicious kale recipe for you to try! Currently regarded as one of the most healthy vegetables on Planet Earth, kale is packed full of nutrients, has incredible health benefits, and when well prepared, has a delicious flavour. It is easy to grow, needs minimal care, and will reward you with an awesome harvest for much longer than most of the other veggies in the Brassica family. 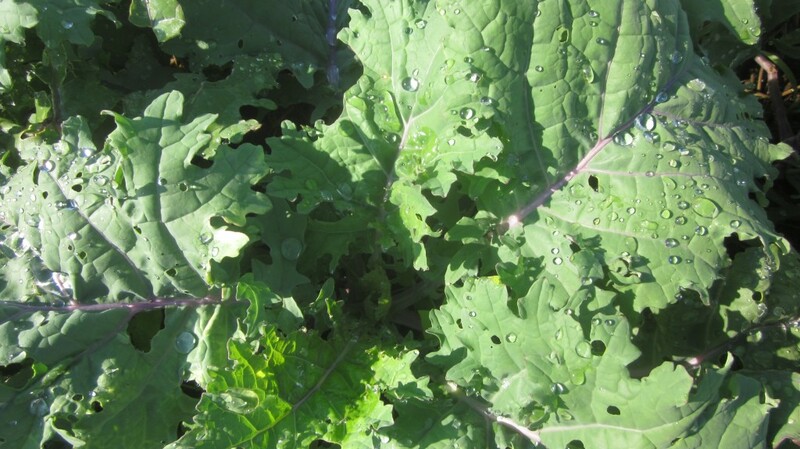 Kale requires reasonably rich soil; water; and a watchful eye to catch aphids and caterpillars before they eat your harvest before you do! While it prefers colder weather to grow in, it will thrive in most climates, though it does tend to become a bit tough and bitter when the weather is very hot. 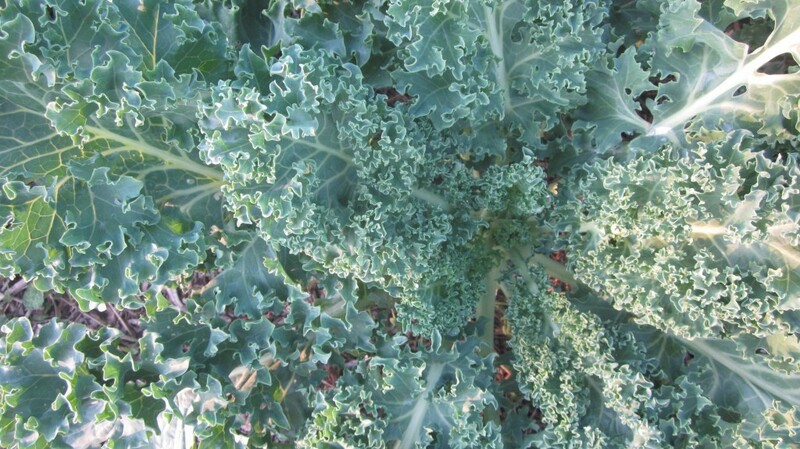 Kale is a biennial plant, though most people normally grow it as an annual, and harvest the leaves after about 60 days. But left in the ground, it will continue to grow and get quite big. After two years it will flower and complete its life cycle. This super-plant has an exceptionally good concentration of antioxidant vitamins; specifically vitamins A, C and K, as well as phytonutrients that contain sulphur. It is also full of lutein and zeaxanthin compounds that do wonders for eye health; and the fibre content binds bile acids, and in so doing helps to lower cholestrol levels in the blood and reduce risks of heart disease. Vitamin K, which is needed for bone health and normal blood clotting, is one of the vitamins that have been found to help reduce risks associated with cancer. So this really is a veg to grow. A minor warning is that because kale contains naturally occurring oxalates that may interfere with the absorption of calcium, it’s best not to mix calcium-rich foods with kale (and this includes dairy products). Slice red pepper, red onion and kale and serve with raisins or sultanas and garlic vinaigrette. Braise chopped kale with apples; garnish with chopped pecan nuts or walnuts and splash with a little olive oil and balsamic vinegar. Cook like spinach with a few garlic cloves and a tablespoon or two of olive oil (no water). Season with a splash of red wine vinegar, salt and coarsely ground black pepper. Combine wholegrain pasta with chopped raw kale, pine nuts and feta cheese mixed together in a little bit of olive oil. The piece de resistance: kale chips. Slice the leaves into chip-sized pieces and place in a baking tray. Drizzle over a little olive oil and sprinkle with salt. Bake for 10 to 15 minutes in an oven pre-heated to 350 °F/ 180 °C. They should be light and crunchy, and very yummy. 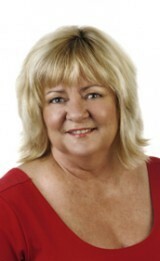 Annette Welsford is the co-author, editor and publisher of international best selling books Companion Planting for Veggies, How to Grow Juicy Tasty Tomatoes and How to Grow Great Potatoes. 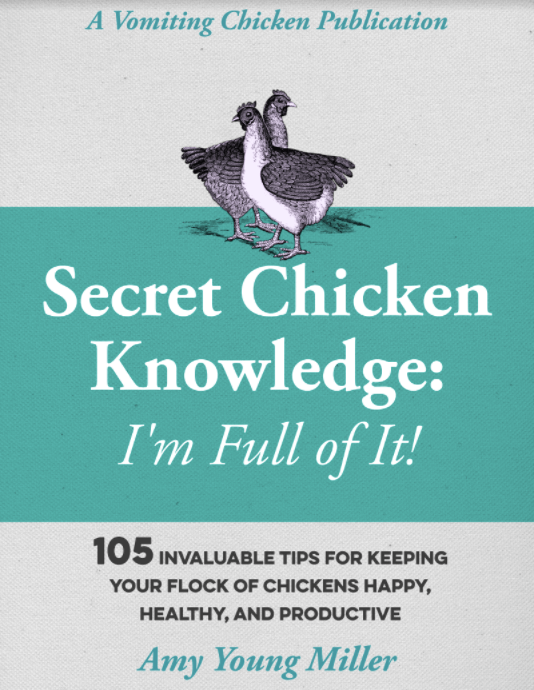 The books are available for online purchase at Growing Veggies blog. They’ve been purchased by many thousand gardeners in 88 countries, and have been featured on TV, radio and in leading gardening publications and newspapers in 4 continents. There you go, Gentle Reader! Everything you need to know to grow, harvest, and cook with this amazing green! Come back tomorrow for one of my favorite recipes using kale! 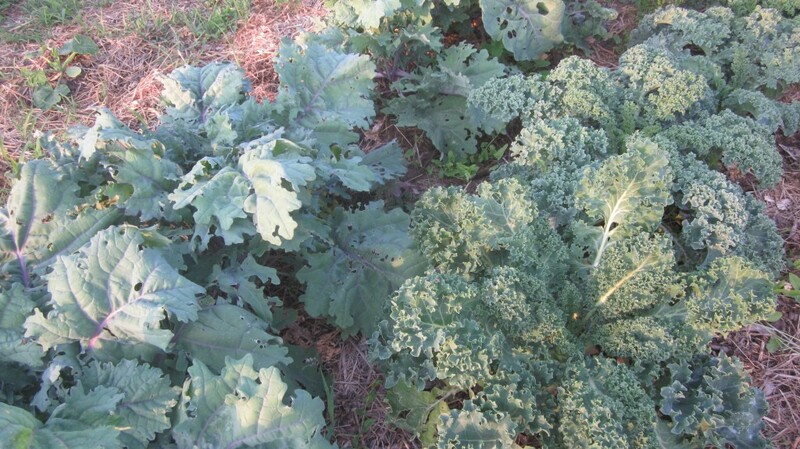 Tagged on: how to cook kale, how to cook with kale, how to grow kale, nutrients in kale, why is kale so popular? I love Kale!! One favorite is kale and spinach salad, another favorite way is lightly sauteed with scrambled eggs. Thank you for posting all the wonderful ways Kale can be incorporated into our diet! Peggy, I like kale with scrambled eggs, too! Sounds healthy! Love your preparation selections. Never tried kale before and will have to! Thanks for sharing, Amy! You’re welcome, Michelle, and I do hope you give it a try! It’s yummy! Kale doesn’t cook as neatly as spinach- but it’s far more welcome in quinoa bean salads! yum, Roy, that sounds good. And pairing kale with quinoa shoots your nutrients right out of the roof in a single dish! I just saw this in today’s Washington Post. It sounds like such a healthy option. I have to admit that I’ve never tried it! Maybe I should! Oh, yes, Sophie, do try it! I’m sure you’ll like it! Yes, I discovered kale last year when I visited my farm manager daughter at one of her farmers’ markets. I put kale in salads, in green smoothies (either kale or spinach), and have made kale chips. (REALLY good!) I want to try a couple of the recipes in the bulleted list under “Ways to Prepare Kale” (second and fourth bullets) – sound good! It sounds like your daughter has a very interesting job! Thanks for reading my post, and I agree with you about those recipes. I thought they sounded very easy and very well worth trying! My fabulous flatmate in London introduced me to kale, her favorite veggie and since then I can’t get enough of it. Salads, kale chips, steamed, tossed…you name it and I’ll try it. Good for you, Deb! Kale has fantastic cancer-fighting elements! Good for him, Nicole, and good for you! Kale is so easy to grow, and it’s wonderful to had a steady supply for a few months!